The dates for next year’s canoeing expedition in the Ardeche have now been released on our website and are available to book. Next year’s course has now been moved forward to September, in order to take advantage of the warmer water and more reliable water levels, after the monsoon seen in May this year! 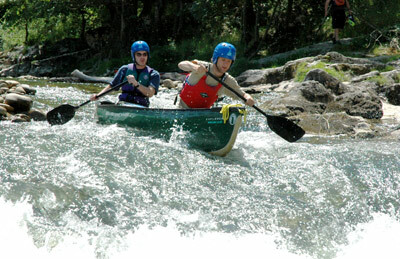 To take a look at photographs from previous year’s trips to the Ardeche, please visit our Course Photo Gallery. This entry was posted in Bushcraft Courses & Expeditions on June 23, 2010 by Woodlore Team.